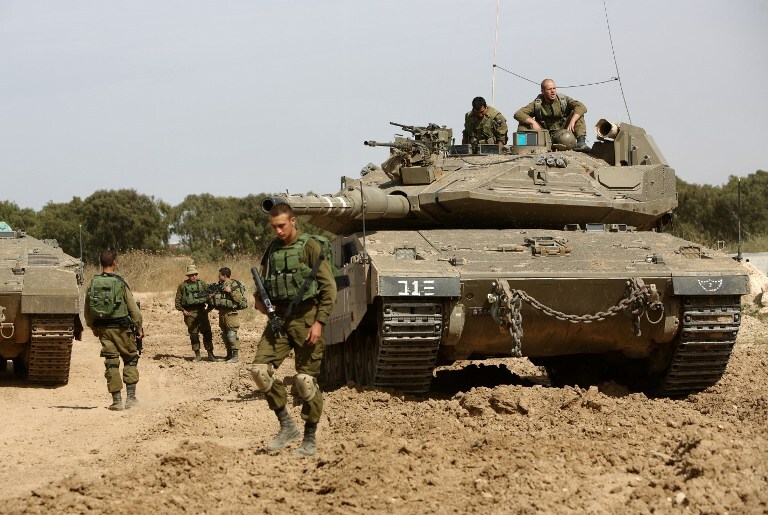 Gaza, Dec 8: A tank and an aircraft targeted two military posts in the Gaza Strip, following projectiles that was fired from the northern Gaza Strip and exploded in southern Israel, according to a statement made by Israeli Defense Forces (IDF) on Thursday. The IDF held Hamas responsible for the hostile activity perpetrated against Israel from the Gaza Strip, said the statement, Xinhua reported. Two rockets were fired from the Gaza Strip on Thursday afternoon, according to another IDF statement. The rockets came amid rising tensions in Gaza and the West Bank following US President Trump's announcement that the US recognizes Jerusalem as the capital of Israel. Israel closed the Gilboa Crossing in the northern West Bank after Palestinians threw rocks at it during a demonstration, the Israeli Defense Ministry said Thursday. The ministry said that the reopening of the crossing will be dependent upon situational assessments.